Narrow Gauge Cinderella Locomotive sitting outside Locomotive Engine House at Lock Ridge. circa 1910. 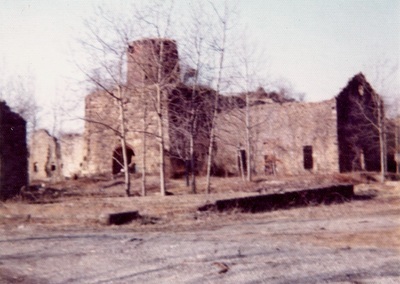 The Thomas Iron Company was a major iron-making firm in the Lehigh Valley from its organization in 1854 until its decline and eventual dismantling in the early 20th century. The firm was named in honor of its founder, David Thomas, who had emigrated to the United States in 1839 to introduce hot blast iron making in the Lehigh Valley, and now embarked on an independent iron-making venture. 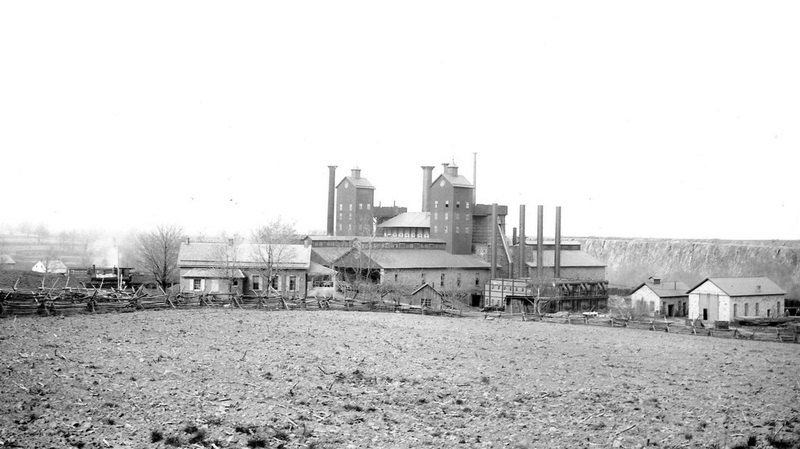 The company's main and original plant was in Hokendauqua, Pennsylvania, which grew up around it; it also came to own blast furnaces and railroads elsewhere in the Lehigh Valley and mines in both Pennsylvania and New Jersey. Changes in the iron industry in the early Twentieth Century left Thomas Iron struggling to compete, and after a failed attempt at modernization and revival from 1913 to 1916, the company's assets were sold and largely dismantled during the 1920s. 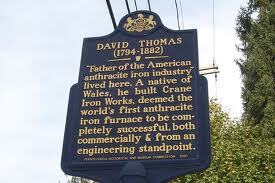 David Thomas, a Welsh ironmaster, had been brought to America in 1839 to introduce the hot blast manufacture of anthracite iron by the Lehigh Crane Iron Company. 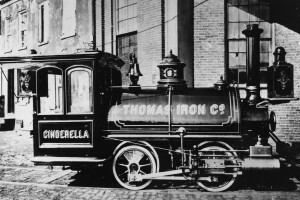 Thomas projected his own company, which was organized on February 14, 1854 and chartered on April 4, 1854; it was named in his honor. Thomas left his post as superintendent at Lehigh Crane and was replaced by his son David, Jr. He became trustee of real estate, while his son Samuel was appointed superintendent. 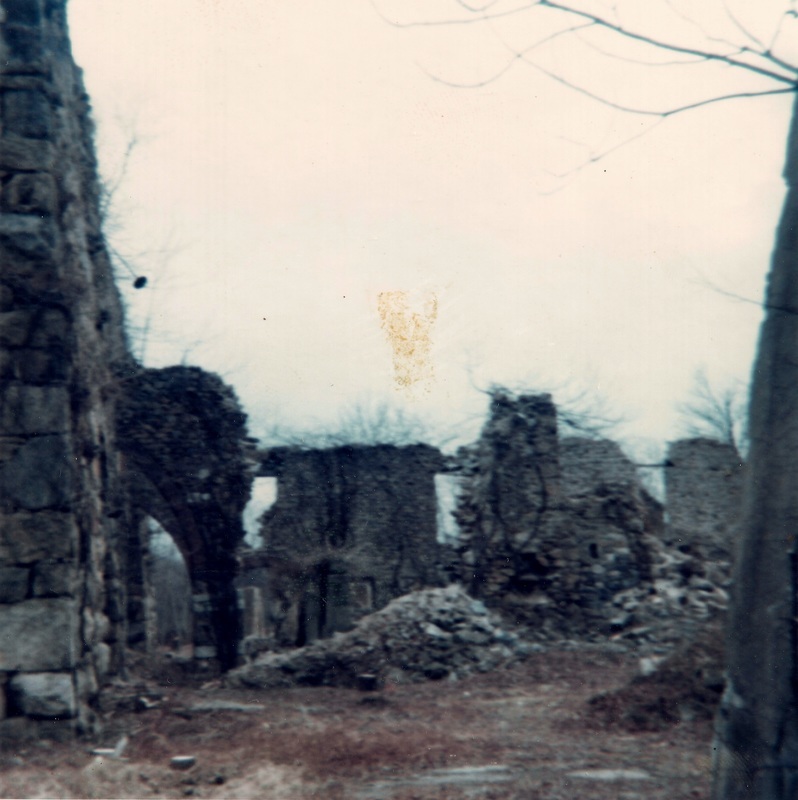 Samuel Thomas had worked for his father at Lehigh Crane since 1843, and had also supervised the construction and blowing-in of a furnace at the Boonton Iron Works in Boonton, New Jersey in 1848. 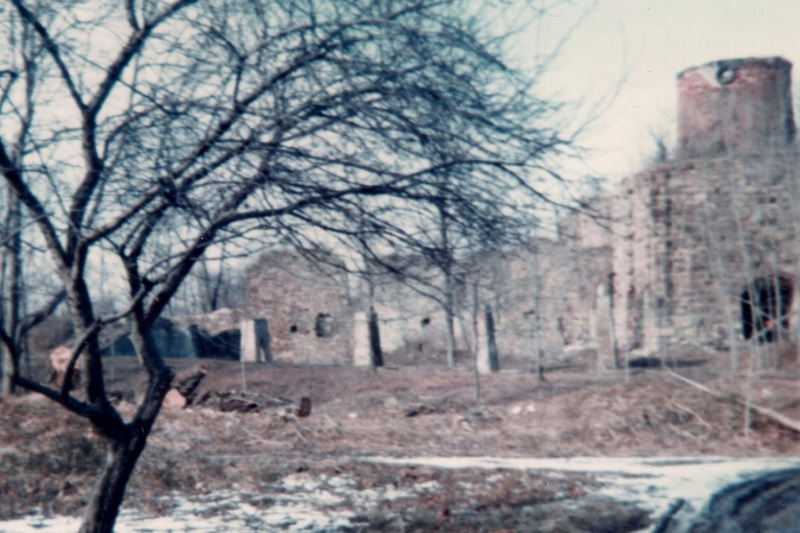 Under his direction, the new company built two furnaces on the Butz farm along the Lehigh River, establishing a community that would become Hokendauqua, Pennsylvania. Furnace No. 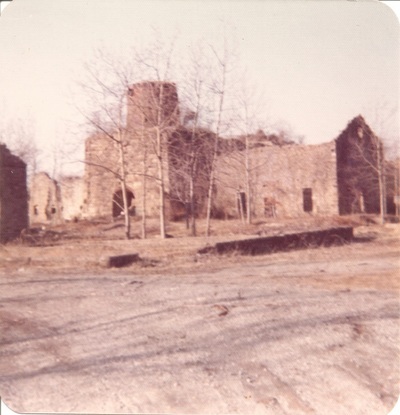 1 was put in blast on June 3, 1855, and Furnace No. 2 on October 27, 1855. Some ore was supplied from local limonite deposits: in 1875, Thomas Iron owned four of these mines and held a fifth jointly with Crane Iron, leased eight and had worked another for two years. The company joined with Crane Iron, which had chartered the Catasauqua and Fogelsville Railroad in 1854, to begin construction in 1856. The rail line reduced difficult and inefficient wagon haulage to supply local ore to both companies. Thomas Iron also bought the Richard Mine near Mount Hope, New Jersey in 1856, which supplied large quantities of magnetite ore. 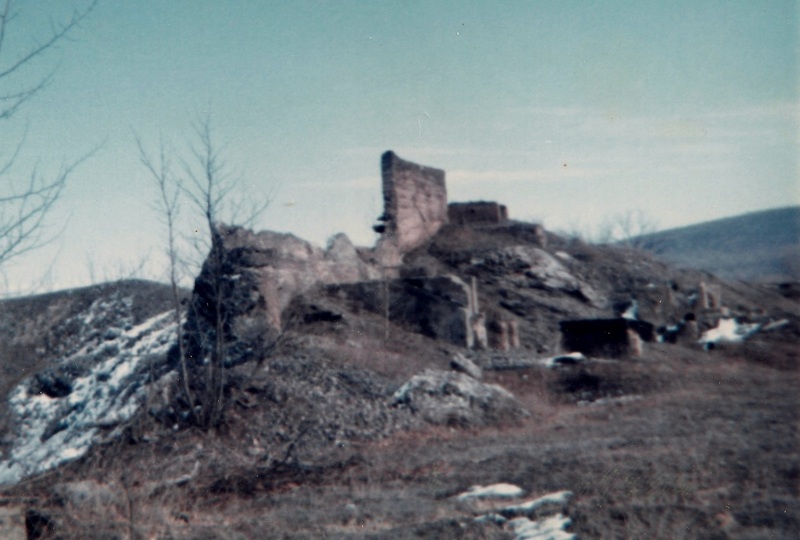 Some magnetite was also obtained from mines at Rittenhouse Gap, at the south end of the Catasauqua and Fogelsville. 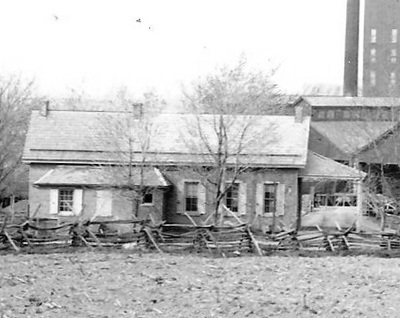 The Hokendauqua site had its own plant railroad, constructed in the 1860s, which included a line of about a mile and a half to connect with the Ironton Railroad at West Coplay. 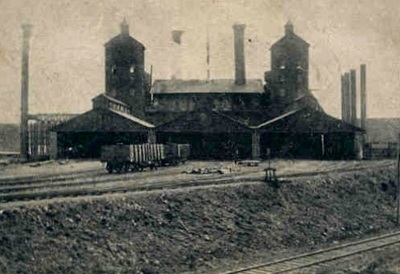 The mines served by this railroad at Ironton were mostly operated by Thomas Iron. 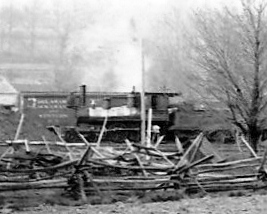 The plant railroad also connected with the Catasauqua and Fogelsville and the Lehigh Valley Railroad at West Catasauqua, allowing it to receive ore and ship iron. Under the leadership of the Thomases, father and son, Thomas Iron produced record quantities of iron, and was looked upon as an exemplar of the iron industry. 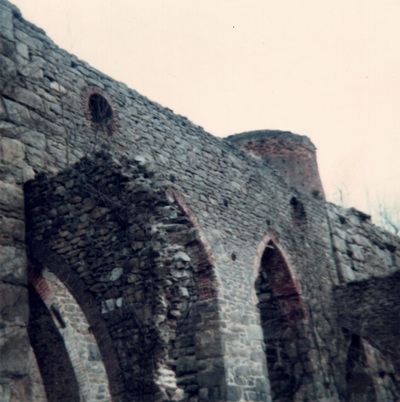 New furnaces were built at Hokendauqua: No. 3 was blown in on July 18, 1862 and No. 4 on April 29, 1863. 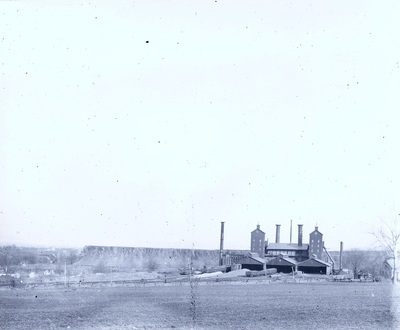 On December 26, 1866, Samuel Thomas and other officials of Thomas Iron chartered the Lock Ridge Iron Company, which began building two furnaces at Alburtis in 1867. 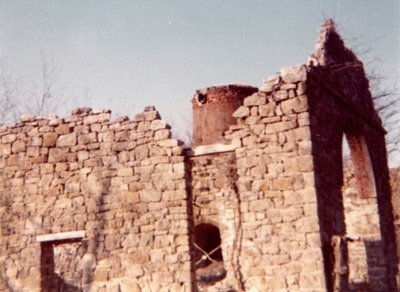 The first furnace was placed in blast on March 18, 1868. 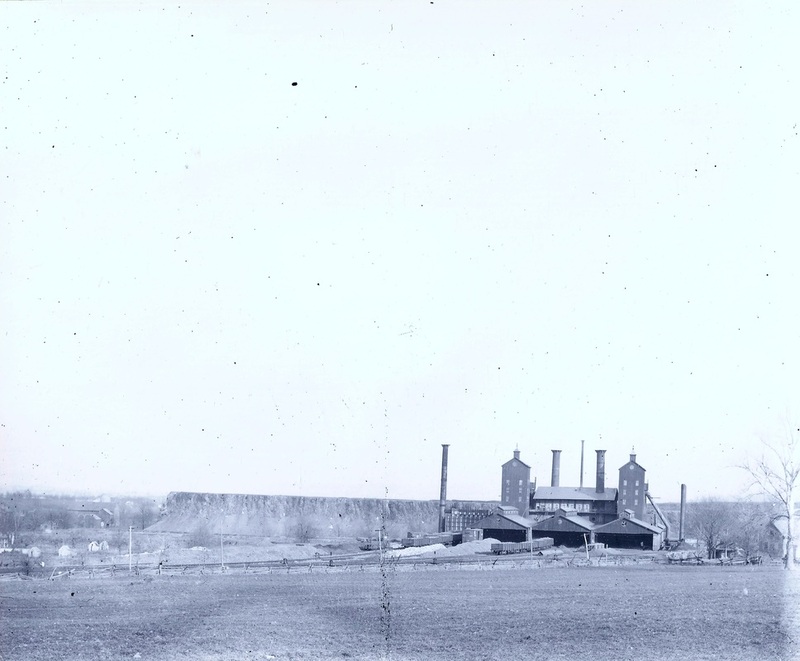 Lock Ridge Iron was bought by Thomas Iron on May 1, 1869, and the second furnace placed in blast on July 9, 1869. This facility had its own small plant railroad, which connected with the East Pennsylvania Railroad (later the Reading) and the Catasauqua and Fogelsville. Two more furnaces were built at Hokendauqua after the Civil War, No. 5 blown in on September 15, 1873 and No. 6 on January 19, 1874. 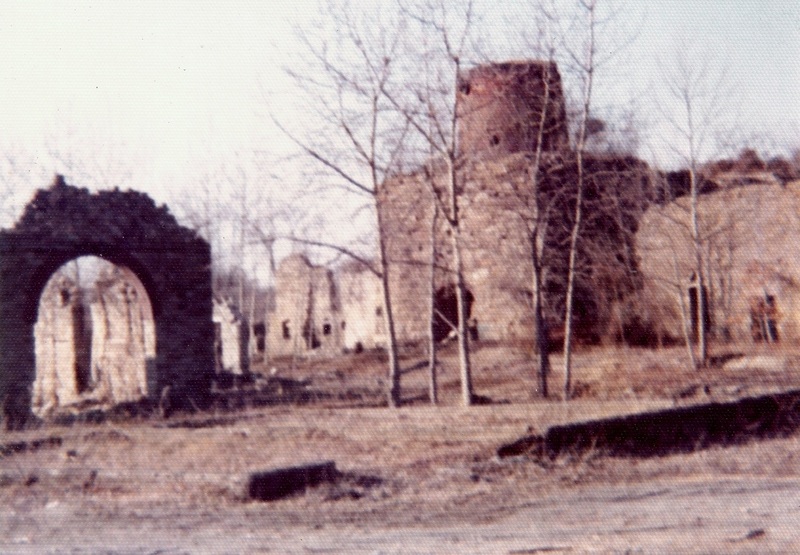 The two Lock Ridge furnaces were later renumbered No. 7 and No. 8. 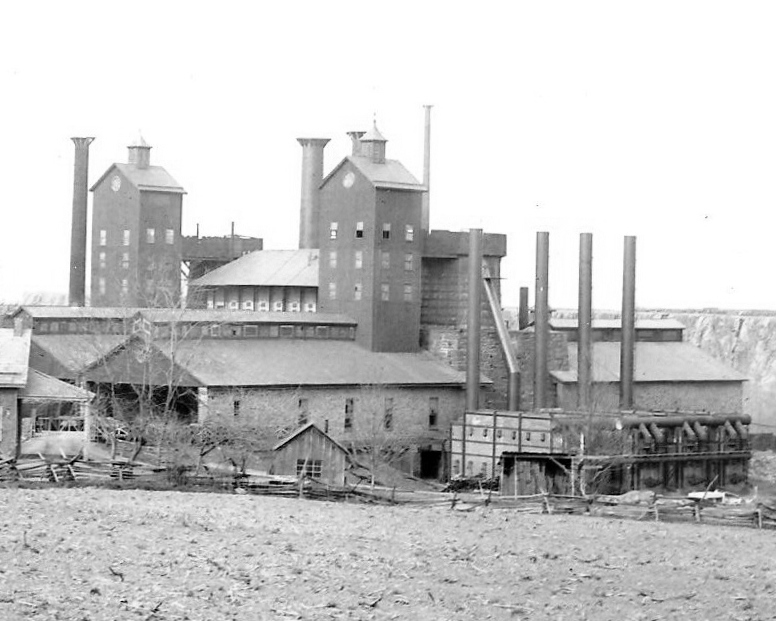 After 1874, the company did not add any further furnaces at Hokendauqua. 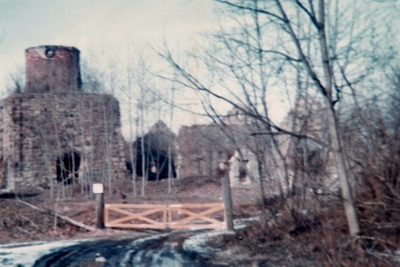 However, it purchased the Keystone Furnace from D. Runkle Company in early 1882 and the Saucon Iron Company in Hellertown, Pennsylvania on December 13, 1884, renaming its two furnaces No. 10 and No. 11. It leased the Lucy Furnace from 1886 to 1887. In 1881, a cinder notch was added to No. 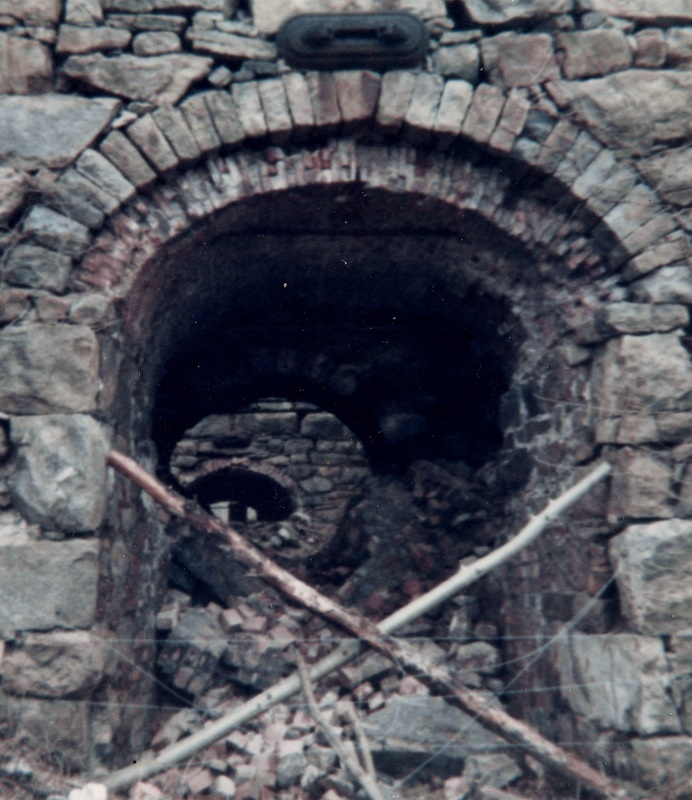 8 furnace at Lock Ridge, an innovation which allowed removal of slag from the furnace during the blast. The operators initially struggled with fine-dirt problems after the change, and it was only eliminated when the furnace burnt out part of the lining. The furnace was re-lined to the new geometry and found to be much more efficient, and No. 7 and No. 2 furnaces were remodeled in the same fashion at the end of 1881. The other furnaces of the company were remodeled as they came out of blast. In 1882, Thomas Iron took over the Ironton Railroad. During the 1890s, as the local limonite industry declined and railroad transportation improved, Thomas Iron switched from using local ore to hematite from Michigan or overseas. However, they continued to use New Jersey magnetite. 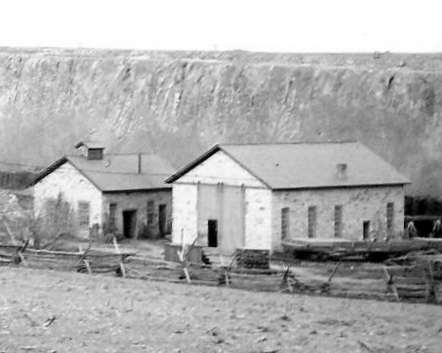 By 1891, the company's Richard Mine was the largest producer of ore in New Jersey. 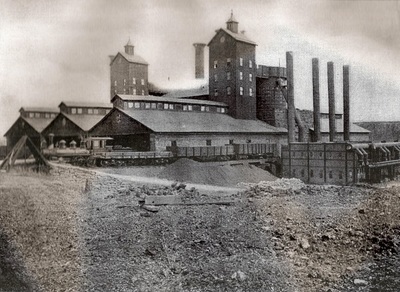 The declining importance of local ore also prompted Crane and Thomas to divest themselves of the Catasauqua and Fogelsville: 60% of the stock in the railroad was sold to the Reading in 1890, which leased it in 1893. 1891 also marked the beginning of another round of upgrades, adding Durham-style regenerative-heating stoves to No. 6 and No. 7 stacks. In 1893, No. 1 and No. 2 stacks were abandoned: No. 1 was demolished and rebuilt with the new stoves, which were also added to No. 10 and No. 11 furnaces (former Saucon Iron). 1893 also marked the accession of Benjamin Franklin Fackenthal, Jr., as president of the company: he would oversee the last halcyon period in the history of Thomas Iron. Modernization continued, No. 3 stack being rebuilt in 1897 and No. 5 abandoned. New Taws & Hartman stoves were fitted to No. 1 in 1898, and No. 3 in 1899. No. 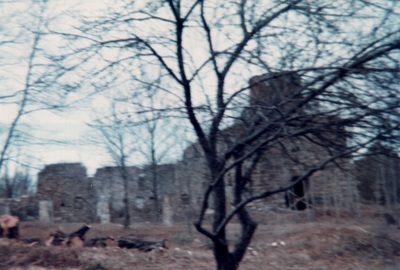 4 was abandoned in 1902. The company began to reorganize its railroad interests, incorporating the line from West Catasauqua to Coplay as the Thomas Railroad on December 21, 1906. The line was leased to the connecting Ironton Railroad on January 1, 1908. Old stack No. 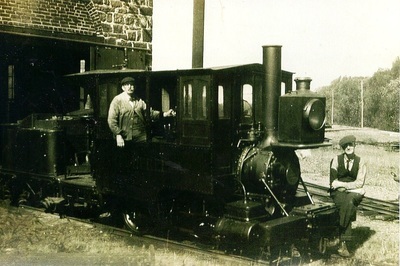 8, at Alburtis, was fitted with a Durham-style stove in 1910. Decline By the beginning of the 20th century, many changes had come to the iron industry. 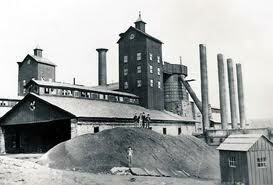 In addition to the shift from local to foreign ores, coke had largely replaced anthracite as the principal furnace fuel. No. 7 and 8 stacks at Alburtis were reputedly the last furnaces in the country to use anthracite, converting to coke in 1914. The shift away from local ores and fuels eliminated much of the original competitive advantage of the Lehigh Valley furnaces. 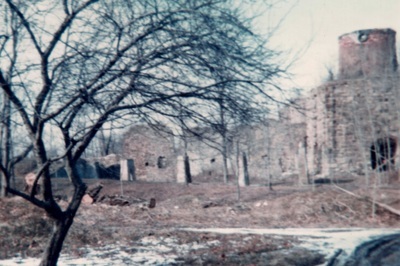 Against this backdrop, President Fackenthal resigned on May 1, 1913, after recommending a program of retrenchment and abandonment of the old furnaces at Alburtis. His successor, chosen on July 1, 1913, was Ralph H. Sweetser, who held largely opposite views. Sweetser modernized not only No. 1 and No. 3 stacks at Hokendauqua, but the old No. 7 stack at Alburtis. He also attempted to restart local limonite mining, an effort which proved a costly failure. By 1915, No. 6 stack at Hokendauqua had been abandoned (leaving only No. 1 and No. 3 in operation there). The limestone flux for the furnaces, until now obtained from local dolomitic limestone quarries, was now replaced by high-calcium lime from Annville, Pennsylvania, eliminating the last local source of raw materials. Sweetser left the presidency on July 1, 1916, and was succeeded by William A. Barrows, Jr., but the company was now in terminal decline. 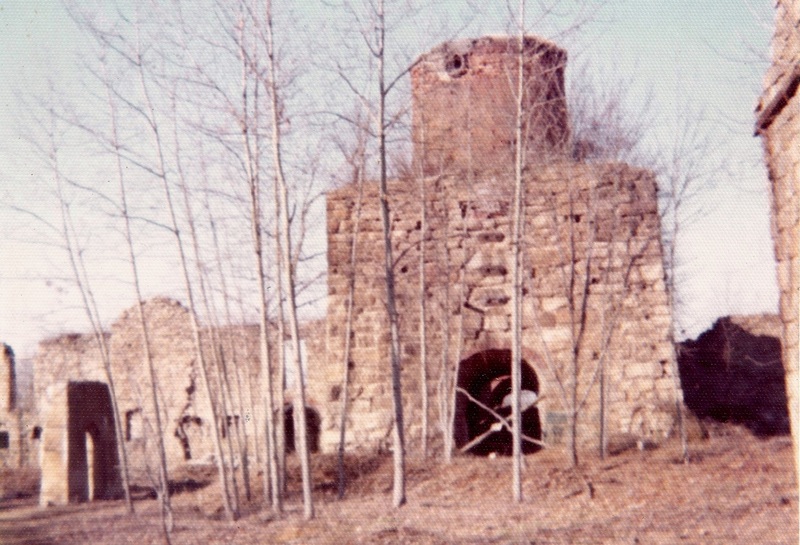 Keystone Furnace was sold off to the Northern Ore Company on June 28, 1917. On December 4, 1917, the Thomas Railroad was merged into the Ironton, which by this time primarily carried cement instead of iron ore.. In 1918, the No. 11 stack (former Saucon Iron) was rebuilt, but No. 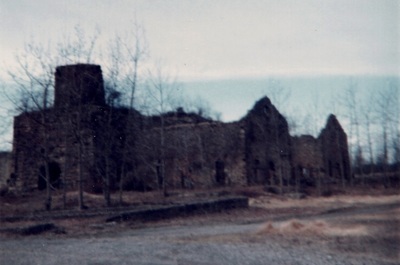 10 was abandoned..
Dismantling of the company now began in earnest: the last iron was made at Alburtis in 1921, at which time Hokendauqua was also out of blast. No. 11 at Hellertown produced a small quantity. On June 30, 1922, the company's stock was sold to Drexel & Company, which disposed of its assets over the next few years. Railroad stocks were sold to the Reading, Lehigh Valley, and Central Railroad of New Jersey, the first two becoming joint owners of the Ironton Railroad. The furnaces and other assets, including the Richard Mine, were sold to the Reading Coal and Iron Company, which sold the Alburtis and Hellertown plants for scrap. No. 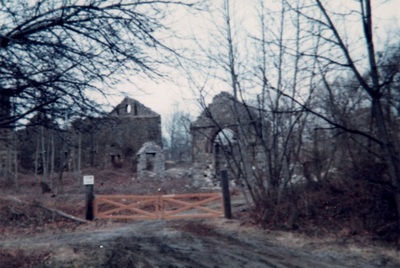 1 stack was quickly abandoned in 1924, leaving only No. 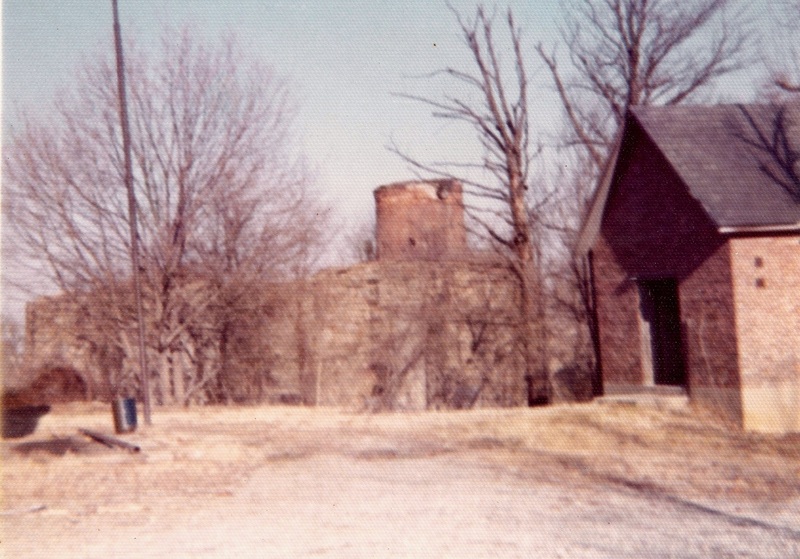 3, renamed "Mary Furnace" in operation at Hokendauqua. 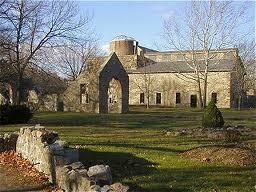 It, too, was abandoned in 1927, and the Hokendauqua plant was sold to Bethlehem Steel, which scrapped it in 1936. The company surrendered its charter in June 1942. 1885 Sanborn Fire Insurance map showing the Thomas Iron Works at Lock Ridge. Brand new Cinderella Narrow Gauge Locomotive ready for delivery to Thomas Iron Company. Built by the Baldwin Locomotive works of Philadelphia in 1869.